Commenting on the matter, Nielsen India Region President Piyush Mathur told PTI: "The inflation in the country has fallen to single digit from double-digit it used to be until sometime back. This has paved the way for the revival of the FMCG sector." ‘The growth in FMCG sector was a tepid 7 per cent in the just concluded calendar year, a steep decline from 18-19 per cent clocked in 2010-11,’ he added. According to the study, the sector on revival mode as has now entered the revival mode due to the falling price rate. Mathur said, sharing the consumer confidence index (CCI) findings by Nielsen India for Q4 2014. 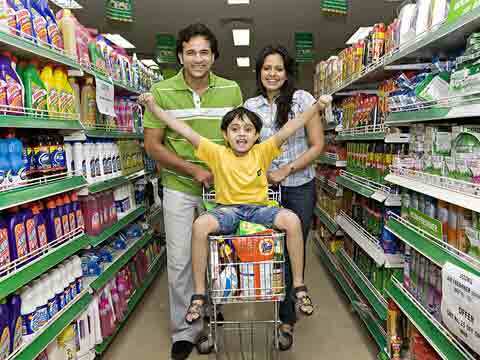 "The FMCG sector is coming back slowly. The volume growth story will come back because of lower inflation in the next couple of years. We hope growth in the FMCG sector will be 10 per cent during the current calendar year and 12 per cent in 2016,’’ Piyush added. "For the last couple of years, we had a bit of double whammy where consumers were concerned about their job prospects. They (people) were not sure of the economy versus high inflation (equation)." So, while they were battling high inflation, they were also not very much confident of what was in store for them from job perspective. There was a flat growth in volumes in certain categories of FMCG and even negative growth in some others during the past couple of years. Besides, the growth will be faster in the rural areas as compared to urban ones during the months to come, he told PTI,"The rural parts of the country are growing faster than the urban parts when it comes to consumerism." Furthermore, the consumer confidence in urban areas surged to a score of 129 in Q4 2014 - a 14 point increase from 115 reported in the corresponding period of 2014. This was despite a 2 per cent decline in global level in the CCI, as per the PTI report.